I just finished these last night. Here are my October socks! 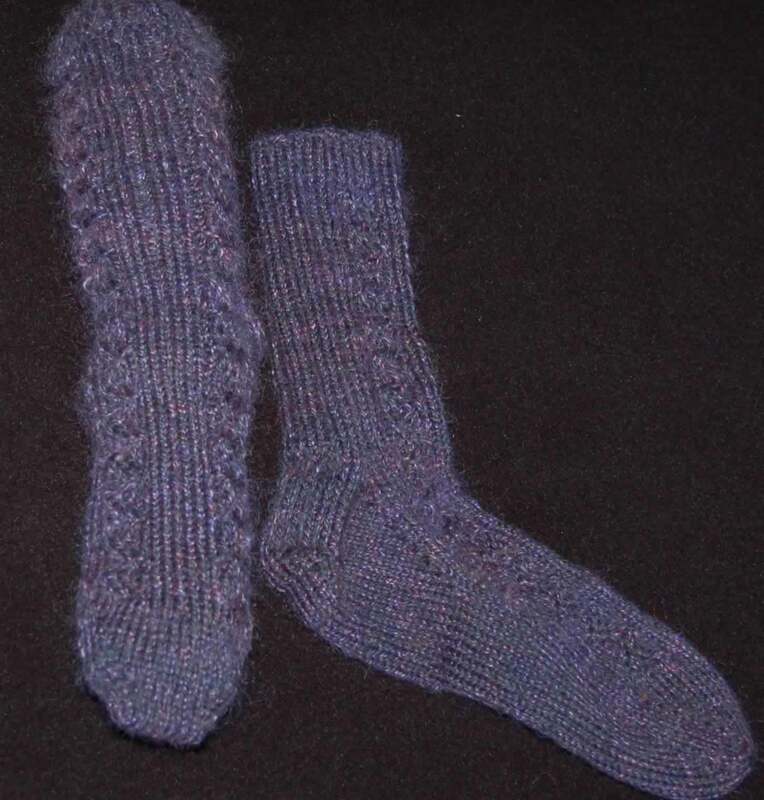 Pattern: My own; cuff down, 2 circular needles-"Maddy's socks"
I thought I was being clever this month and I knit a cute little pair of booties to fulfill my October sock obligation. But then it occurred to me that perhaps I should read the rules to make sure they qualify. I knew I remembered something about babies...Anyway, the rule is: it counts as a sock if it has a turned heel--my booties didn't count! 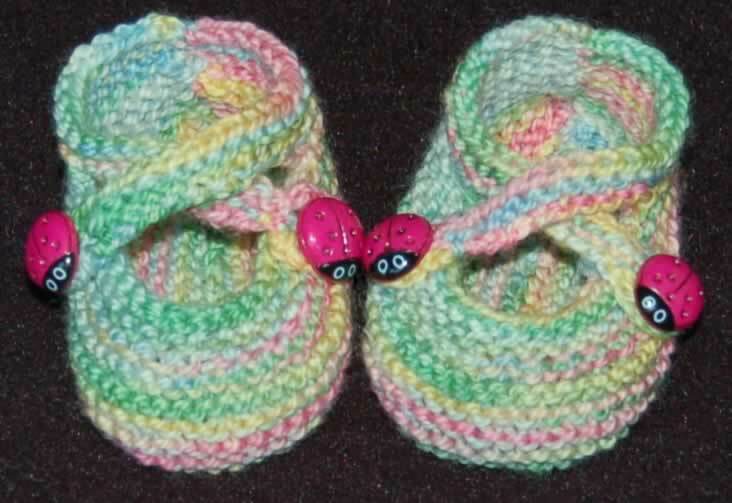 Oh well, they're really cute and are a great way to use up extra sock yarn. Notes: I made the newborn size. For the button loop, I did a 2-stitch I-cord.